The celebrity stars of the blockbuster The Olympians films are about to take “method” to a whole new level. In Bryan Hitch’s all-new six-issue miniseries REAL HEROES, a group of actors who are used to playing superheroes on film are forced to don their capes and cowls in real life when a nefarious foe endangers their city. REAL HEROES #1 is Hitch’s first foray into writing and drawing his own work, and hits the ground running with an explosion and a brutally-orchestrated fight to the death. To read more from this exclusive interview with Hitch on the making of REAL HEROES, visit: www.imagecomics.com. REAL HEROES #1 arrives in stores on 3/26 and is available for $3.99. 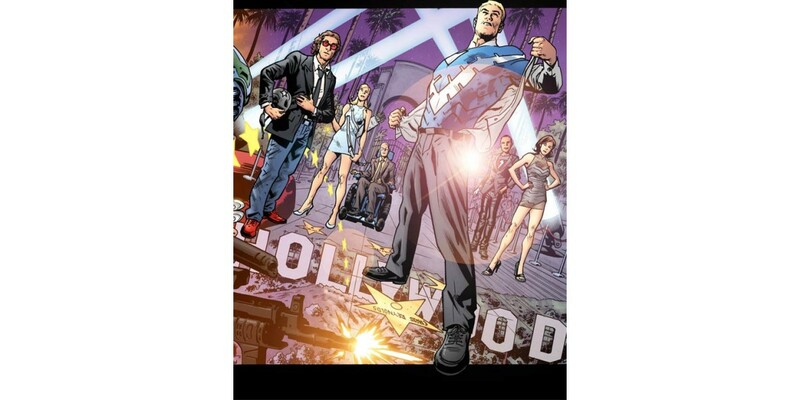 REAL HEROES with Cover A by Bryan Hitch can be pre-ordered using Diamond Code JAN140533. Cover B by Frank Cho can be pre-ordered using Diamond Code JAN140534, Cover C by David Finch can be pre-ordered using Diamond Code JAN140535, and Cover D by Travis Charest can be pre-ordered using Diamond Code JAN140536.